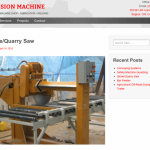 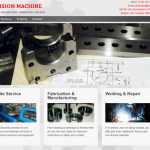 This project is a WordPress based web site for a local machine shop that displays numerous millwright & machining services and features an extensive project gallery. 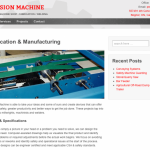 Precision Machine Shop located in Bognor Ontario offers a diverse range of millwright, machining and maintenance services for businesses within Grey-Bruce. 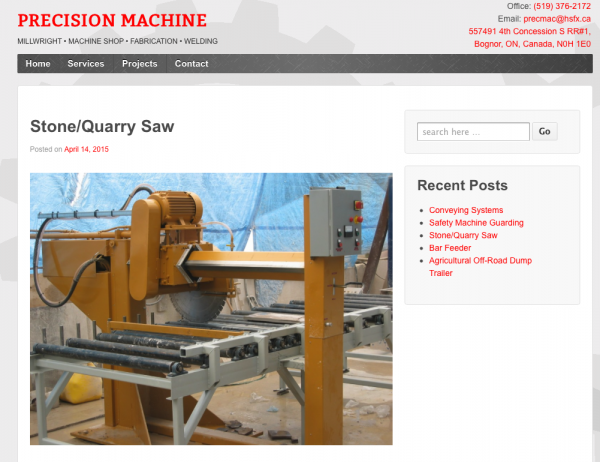 Business owner Terry Elder was looking for a means to showcase the extensive list of projects completed and some of the unique devices they have fabricated for. 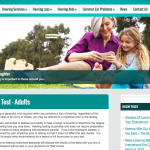 A WordPress web site makes it easy for him to update the site with new project information and create a large image library.